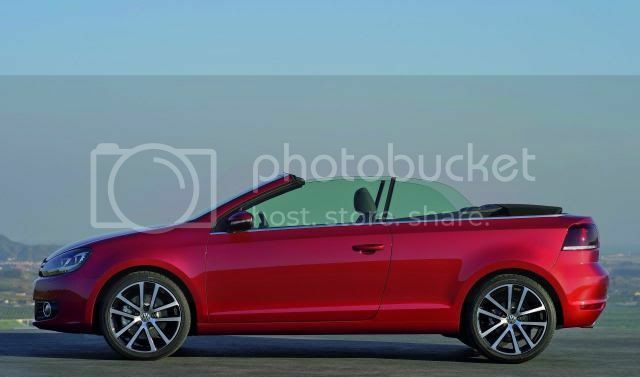 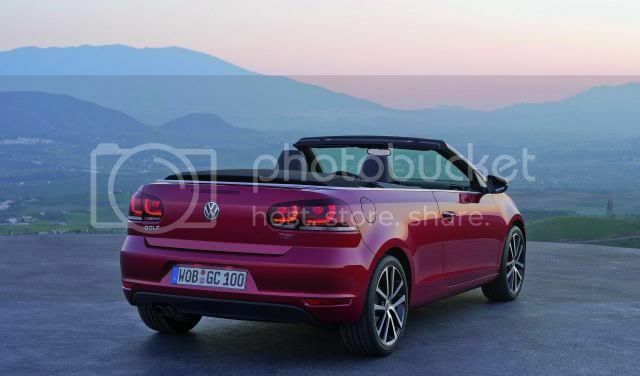 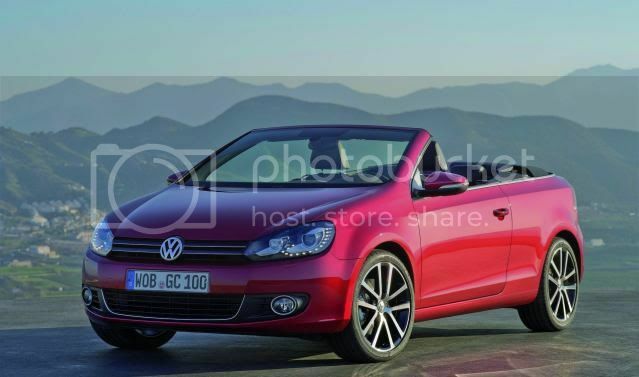 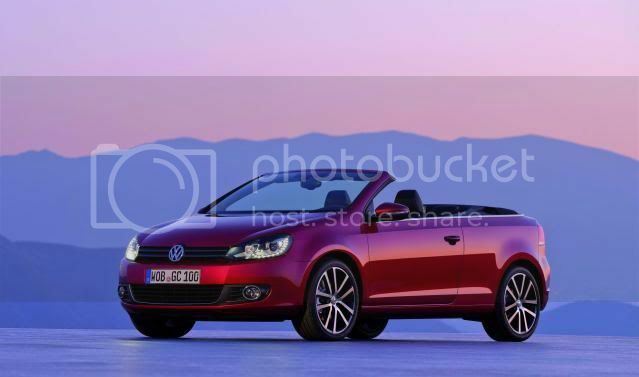 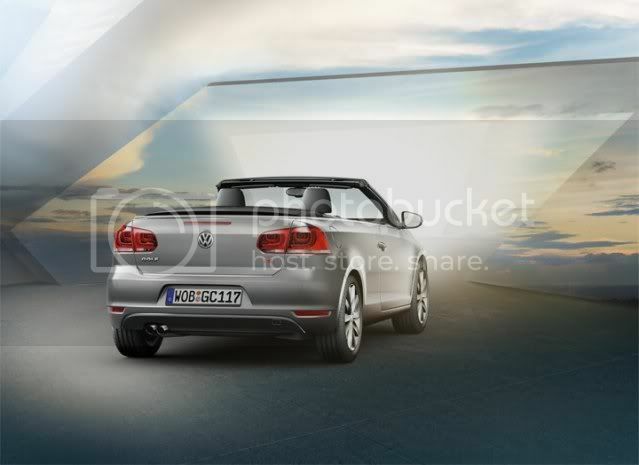 Volkswagen has taken the covers off the new Golf Cabriolet, ahead of its debut in Geneva. 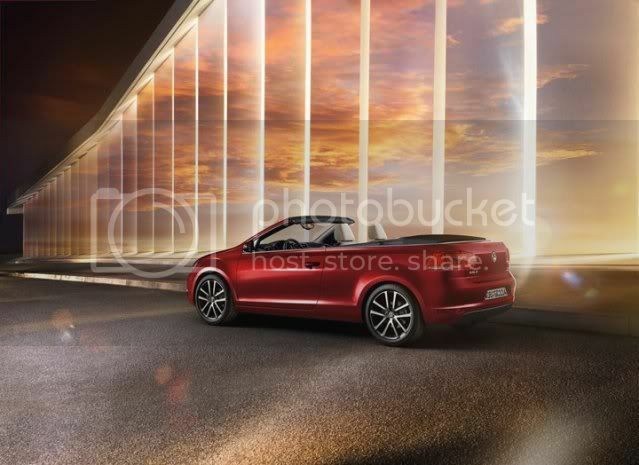 Using an electro-hydraulically folding fabric roof, it takes 10 seconds to either fold or drop the roof. 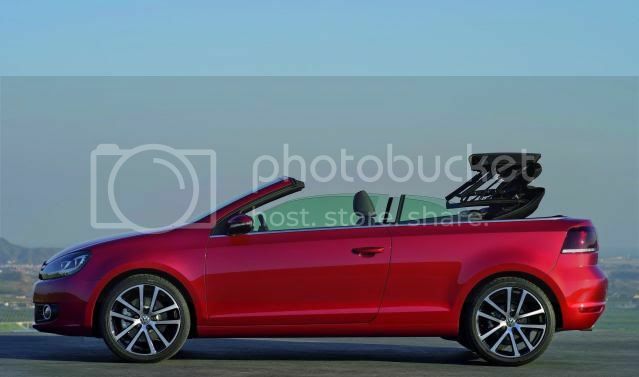 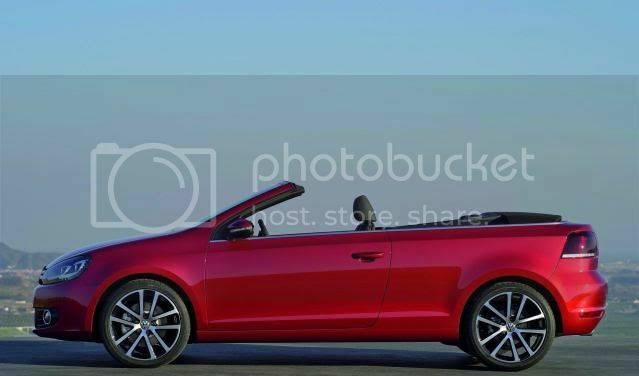 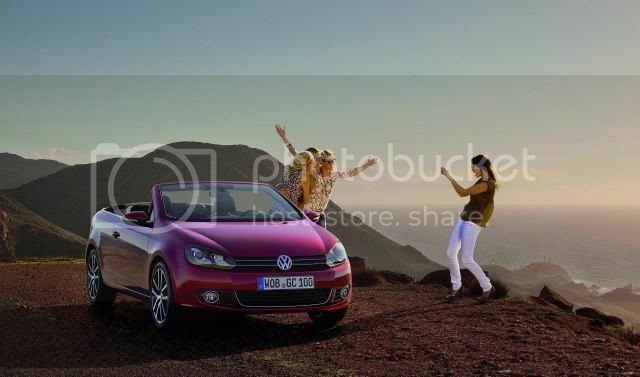 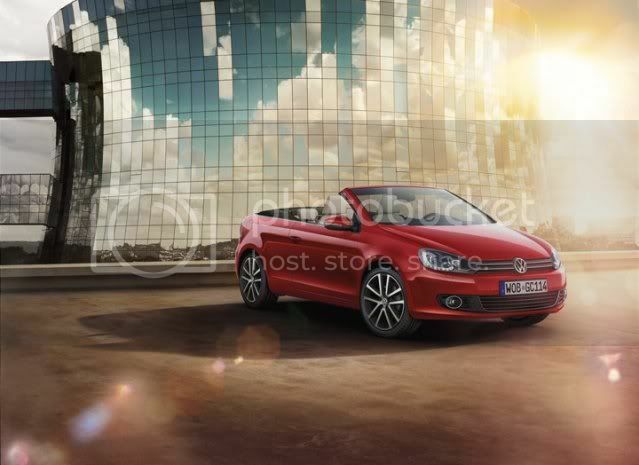 Measuring 4,215 mm in length, 1,424 mm in height and 1,779 mm in width, the Golf Cabriolet is smaller than the Eos. 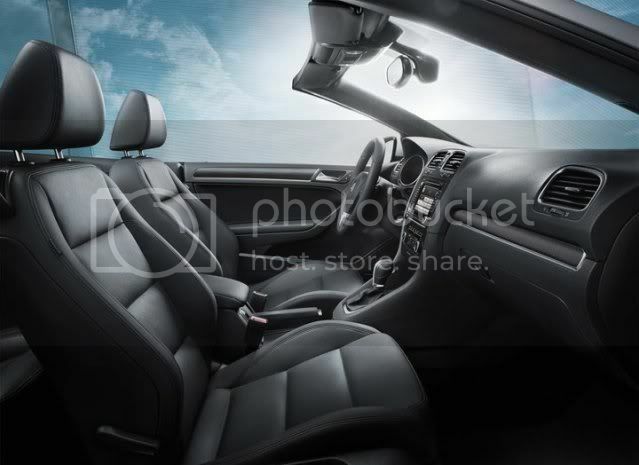 Yet despite being 208mm shorter than the Eos, the cars share a 2,578 mm wheelbase, resulting in maximum interior space for all four passengers. 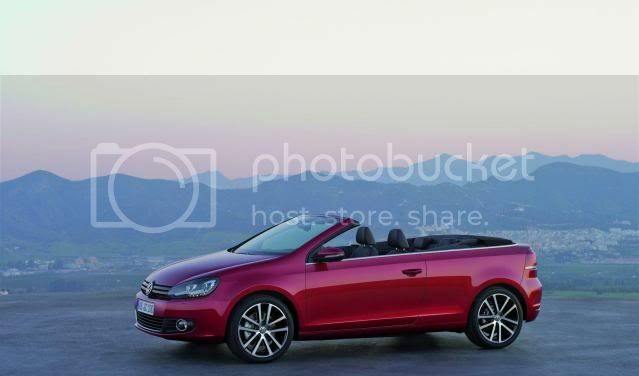 Unlike the larger Eos, the Golf Cabrio uses less space when its roof is stowed, resulting in luggage capacity of 250 litres. 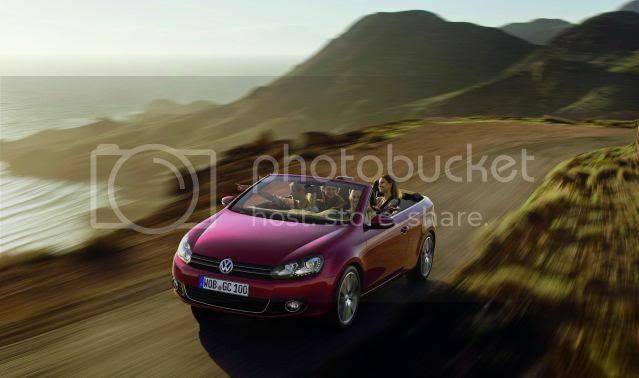 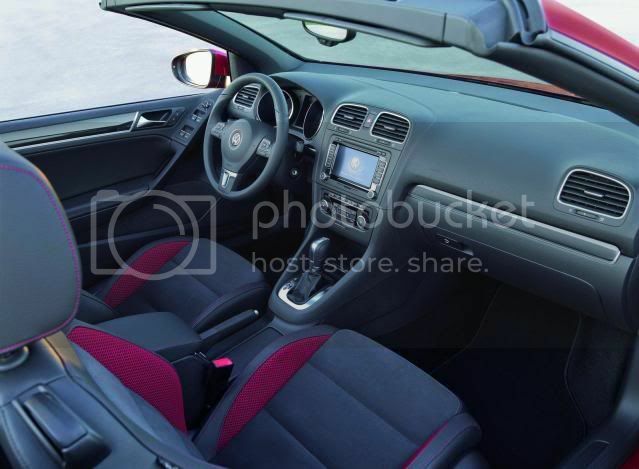 Furthermore, the soft-top has the ability to be opened and retracted at speeds of 19mph (30km/h). 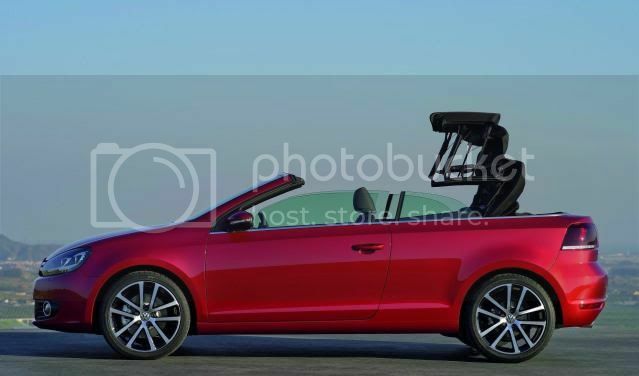 In the event of a potential rollover, retractable hoops will spring into action, which are located behind the headrests, to prevent such an outcome. 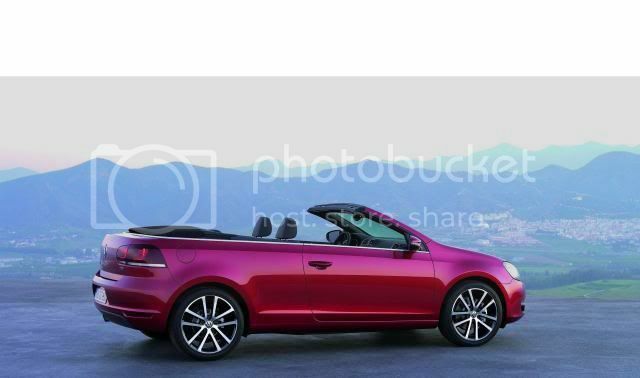 On the safety front, LED rear lights, x7 airbags (driver's knee, twin front, side and curtain), and ESP fitted as standard, in addition to the rollover hoops. 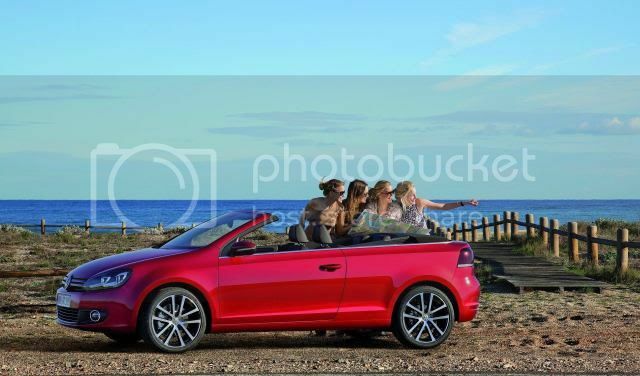 In the UK, three trim-levels will be offered; S, SE, and GT with 16” alloy wheels, Bluetooth, and DAB digital radio featuring as standard equipment. 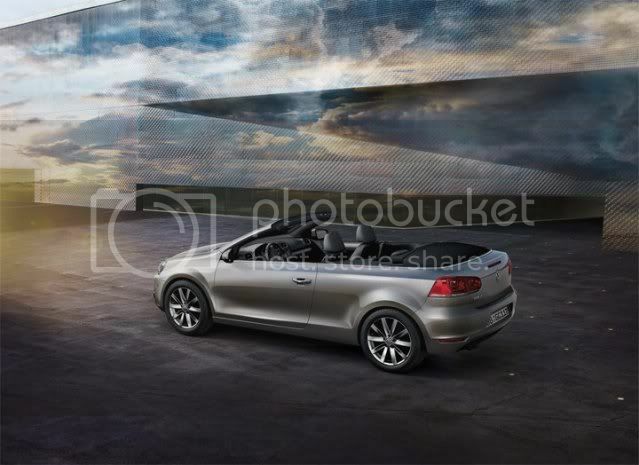 An array of engines will be on hand, giving output figures ranging from 105bhp (105PS/77kW) to 207bhp (210PS/155kW). 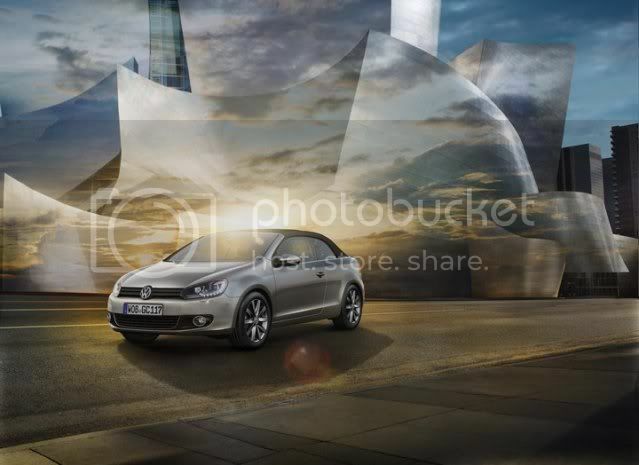 The 1.6 TDI 105bhp BlueMotion will emit 117g/km of carbon dioxide, while returning 64mpg (4.4l/100km). 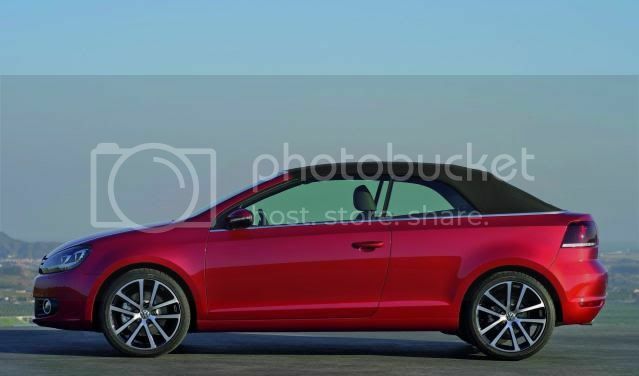 A 6-speed manual will be standard with the DSG transmission available as an option. 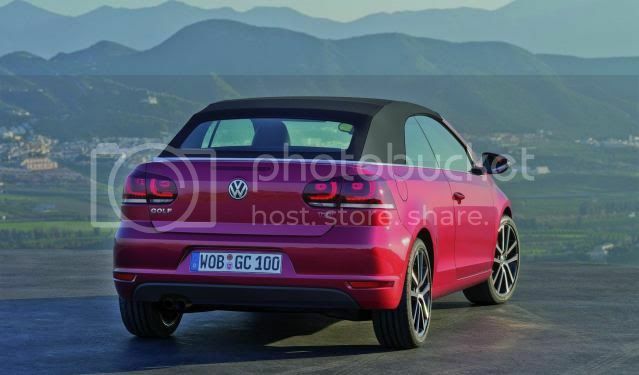 The Golf Cabrio is set to undercut its larger sibling when it goes on sale in Summer with German prices starting from €23,625. 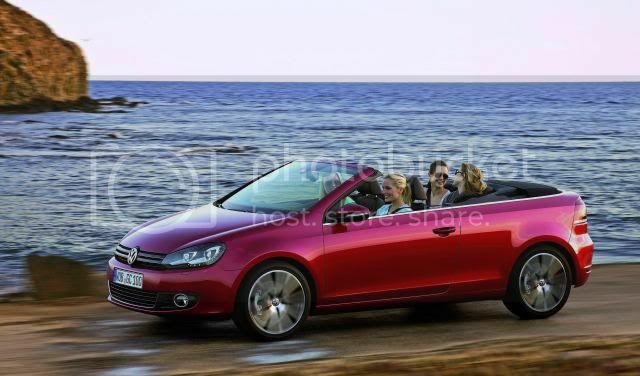 UK order books open in July with deliveries starting in September.